Lycra…or the less appreciated term…spandex. It’s arguably the greatest fashion invention of the 20th century and completely revolutionized how we dress, move, and grow our girth, in clothing. 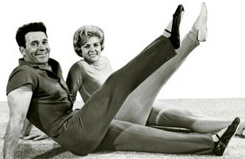 It’s a safe bet that synthetic, stretchy fabrics are on your body somewhere right now. Nylon, developed by Du Pont chemicals in 1935, revolutionized women’s hosiery in the 1940’s and eventually led to the development of… Lycra, generally known in the US as spandex. While celebrated in the eighties, most of us cringe at the mention of donning spandex today, unless that is, you shop at American Apparel. 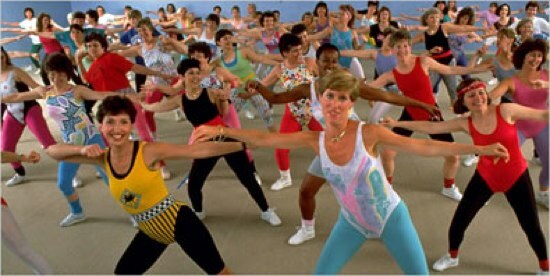 Synonymous with the flashy neon sheen of aerobic wear of the 1980s, the word spandex is actually an anagram for the word expands. Apart from fitness apparel, spandex is in almost everything we wear – bras, underwear, belts, socks, jeans, pants, dresses – you name it. 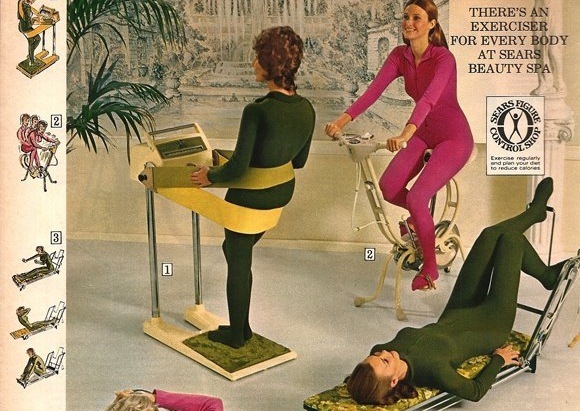 Despite comfort and expandability, fitness fashion is often lacking in the “fashion” part of design. Thankfully, there are a few designers tackling well-tailored sportswear which is not an easy task. Stella McCartney creates gorgeous and functional athletic wear for Adidas, while Jeremy Scott, Yohji Yamamoto, Alexander McQueen, and the Japanese design house, Undercover have all attempted to elevate the look and feel of classic sportswear apparel, and the under appreciated reputation of spandex.